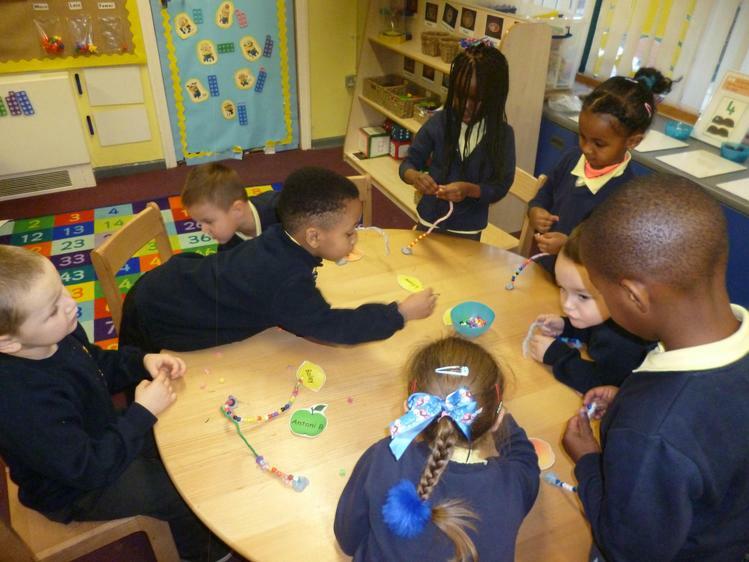 We would like to welcome our friends of Reception P to our special class page where we will be sharing all the exciting things we have been learning in class. 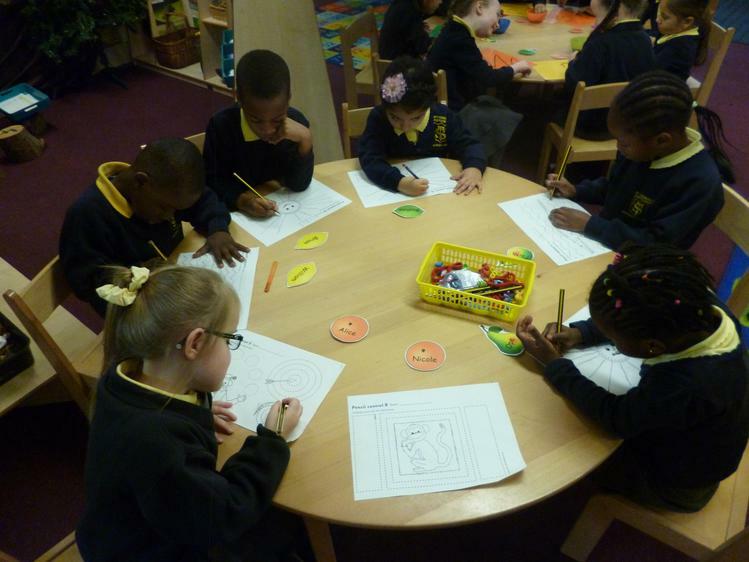 In Reception P we work extremely hard to make our fingers strong during our morning activities, we enjoy different activities every day which helps us to hold our pencil correctly; this will help us to be super writers in year 1! 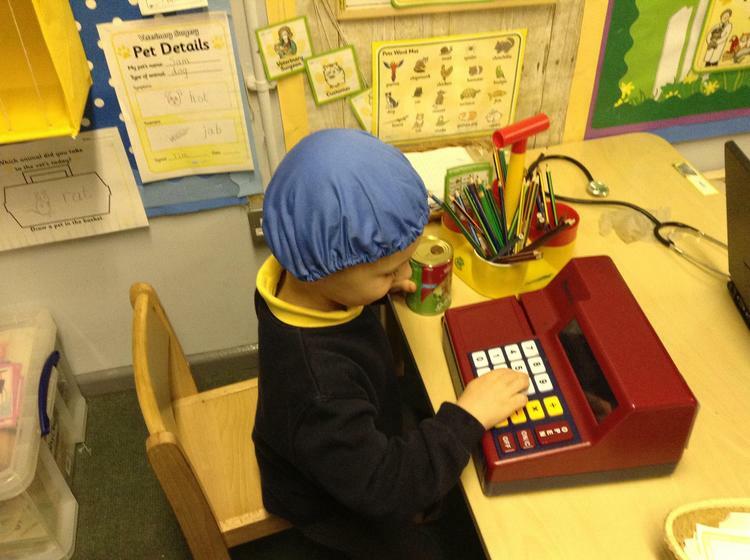 In maths this term we are focusing on number. 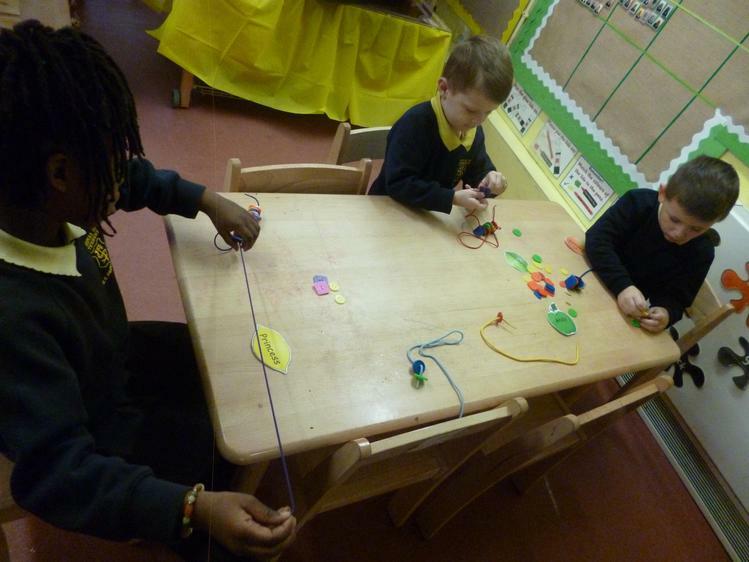 We are working on securing our knowledge of number by singing fun numbers songs; our favourite is the counting song to 10 as it gets faster and faster! 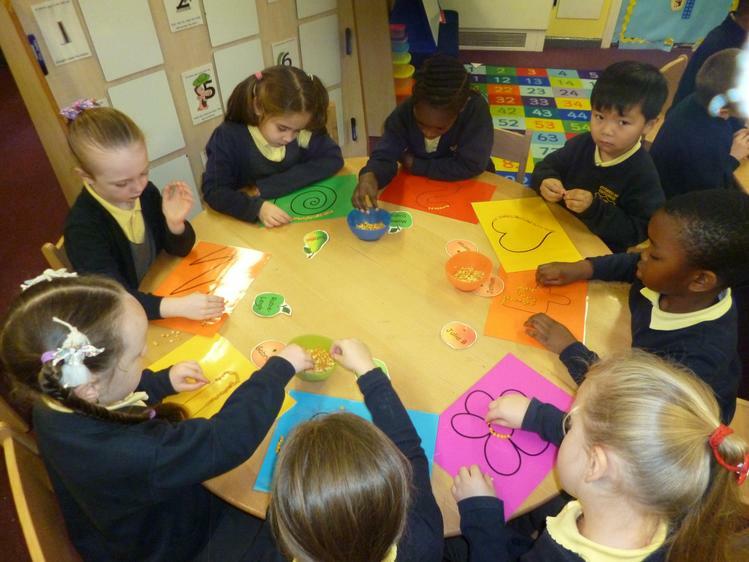 We also enjoy working in teams where we play fun maths games. 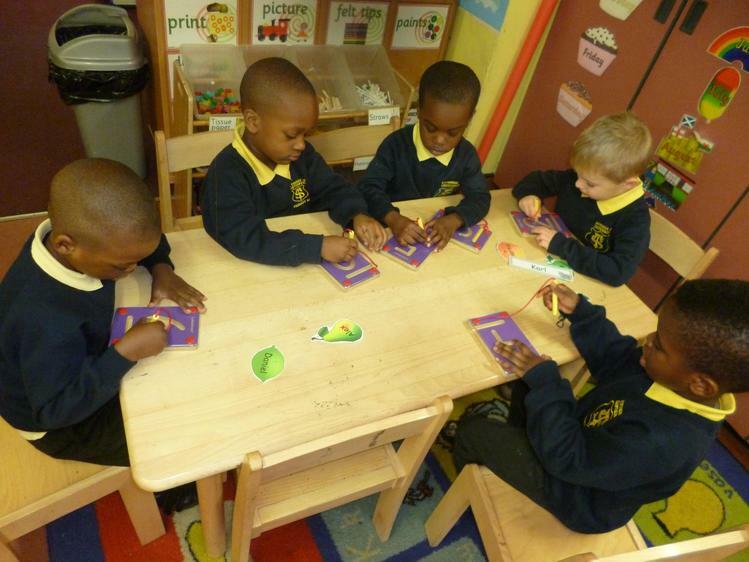 This term we have been improving our counting technique using ‘move it to prove it’ where we use our fingers to count effectively. 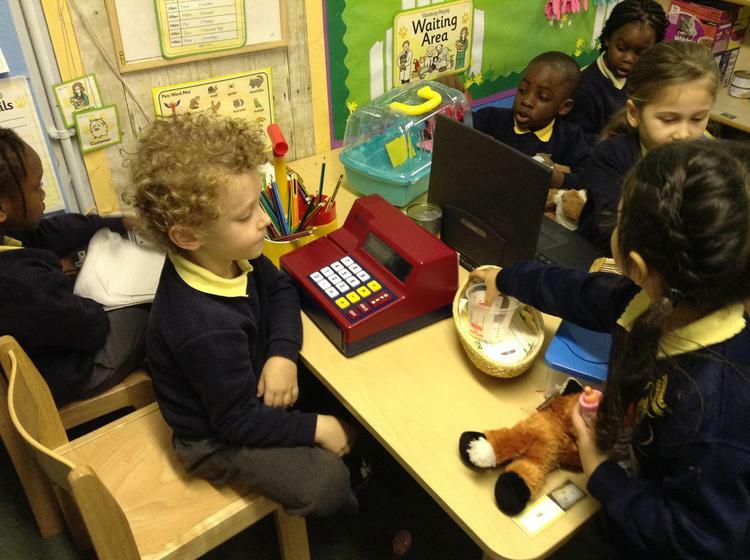 We have also been exploring the different things we can do with number including counting, grouping, ordering, comparing and finding the total of objects to 10. 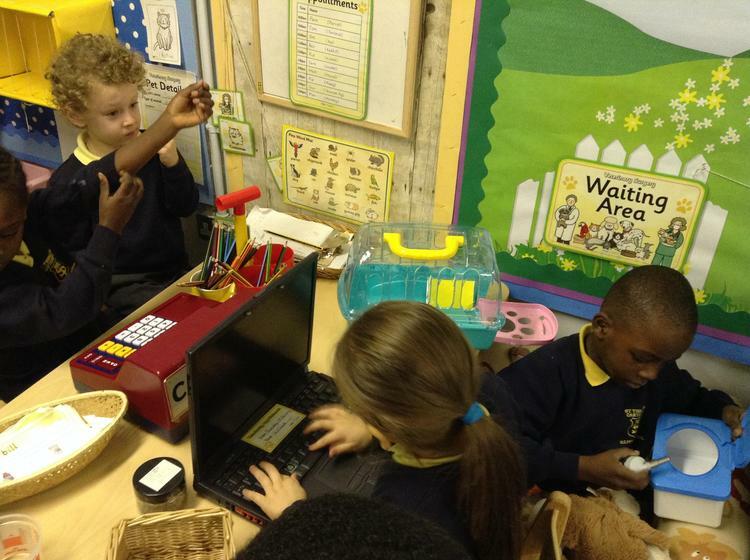 We are also working hard to develop our mathematical language such as ‘more’ and ‘fewer’; we enjoy using mathematical language in our Numeracy area. "I have 10" "I have 10"....We have the same!! "I have 7" "I have 10""I have less" "I have more"
"I have 10" "I have 5""I have more" "I have less"
We are also keen to take our maths outside where we enjoy number hunts to 12; we look for different representations of our daily number and record our findings in our outdoor maths area. 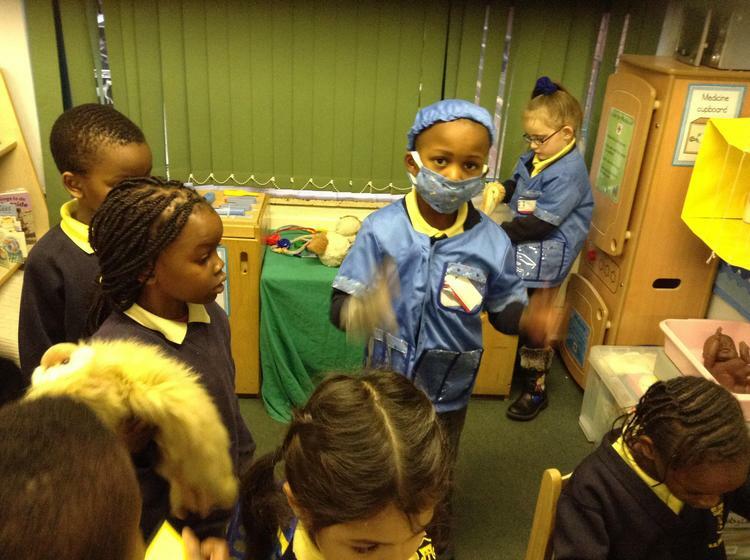 This half term we have been looking at the woodland and the different creatures that live there. 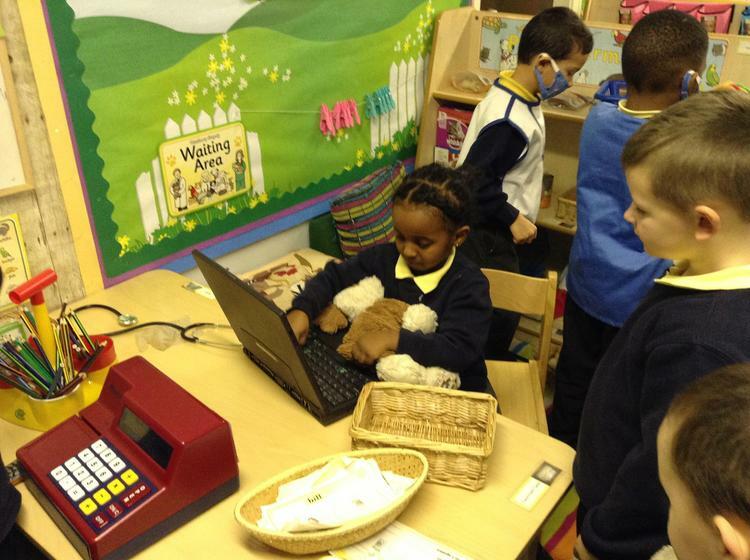 We have also been looking at a range of stories that take place in the woodland environment e.g. 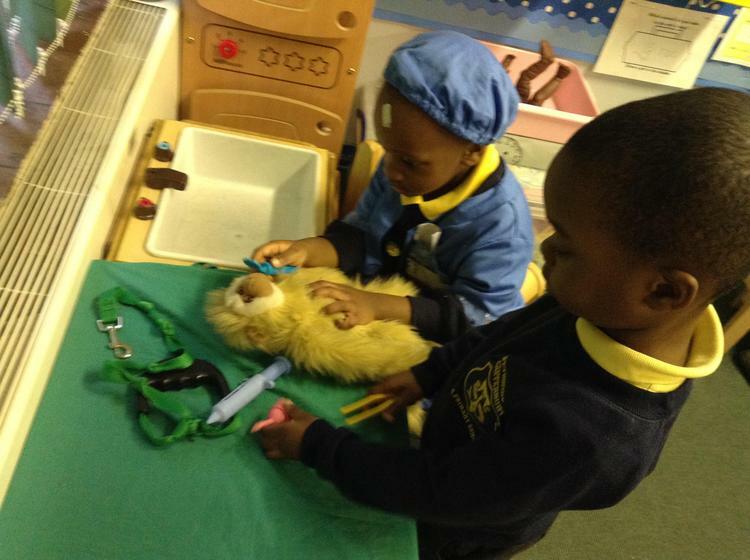 Owl Babies, The Gruffalo and The Owl Who Was Afraid of the Dark and how the animals in the story are wild animals and different to the animals that we have as pets. 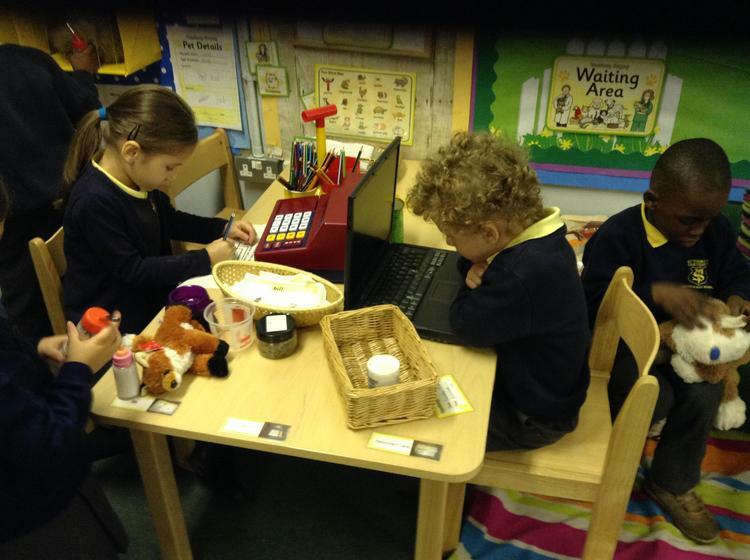 We have enjoyed playing in our Woodland role play area where we have been telling each other scary stories around the campfire. 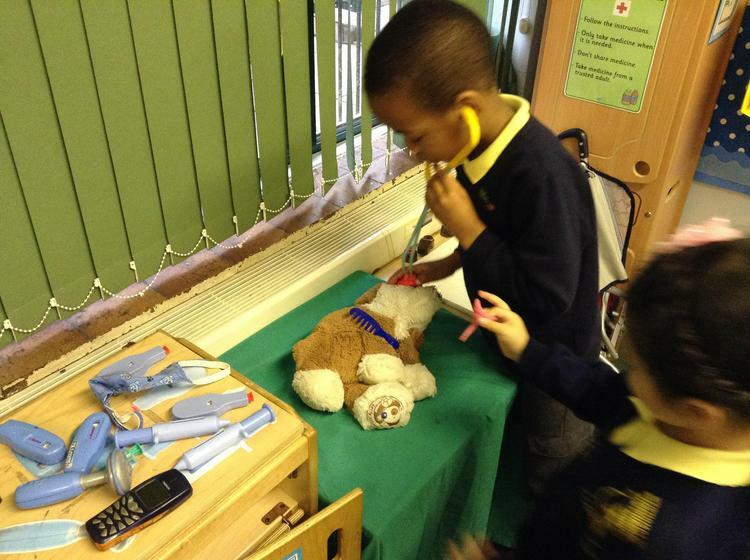 We have also been writing lists for what we could take on a camping trip! 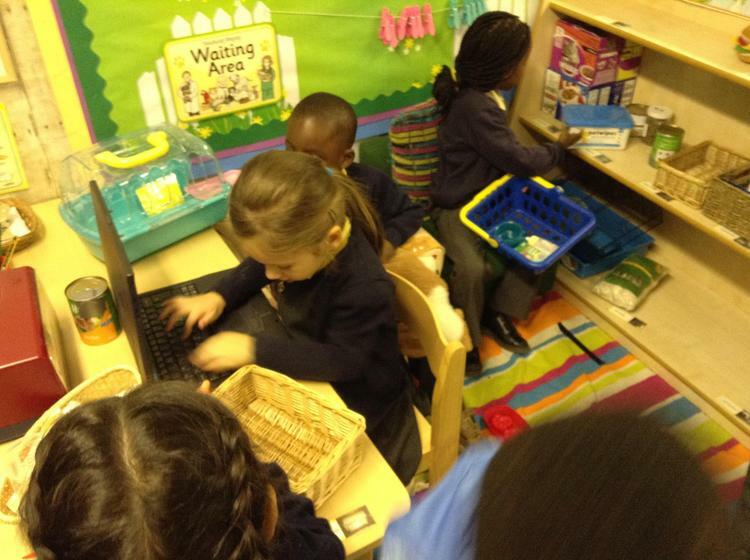 Miss McCann was so impressed with our busy bee tidying that she said that we could spend some time in her classroom! 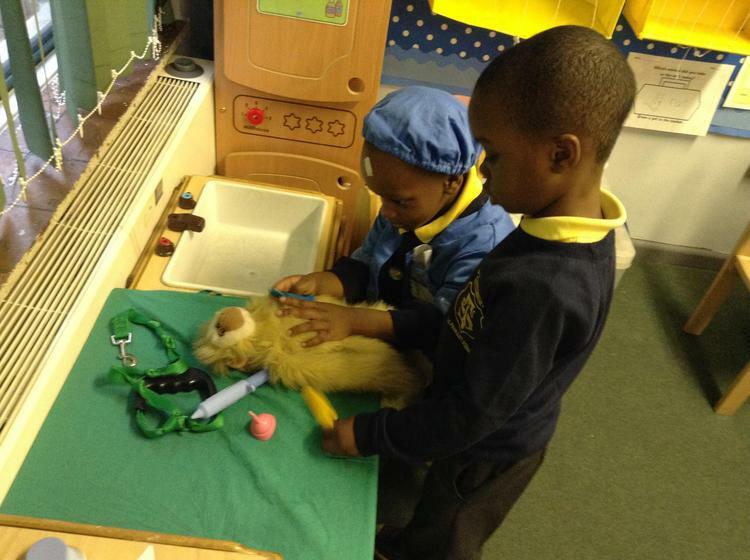 While we were there we looked at how we care for animals in the Vets role play. 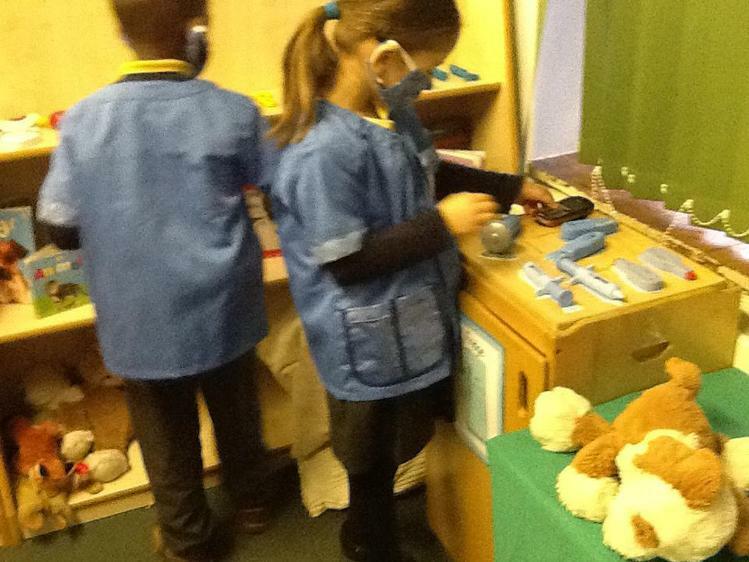 Miss Partington helped us to know what happens in the Vets by being Vet Partington and showing us what to do when you take your pet to the vets; we had so much fun being Vets, Receptionists, shop workers and customers! 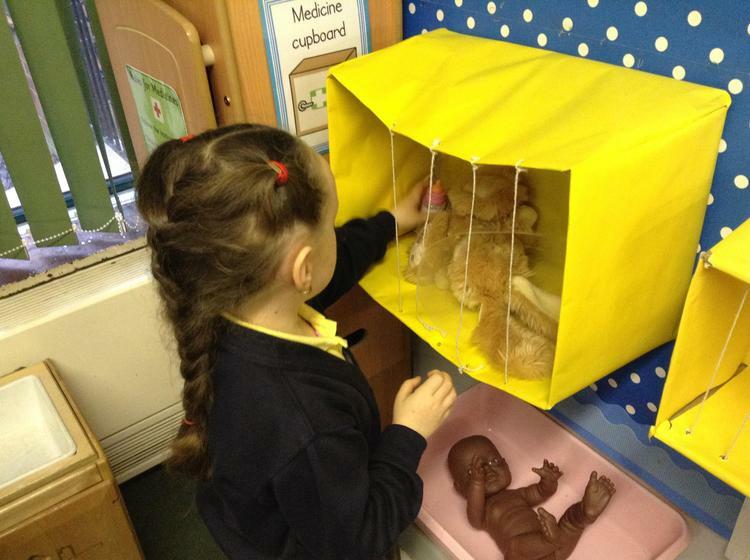 We have talked about how it is extremely important for us as God’s children to look after the creatures of the world. 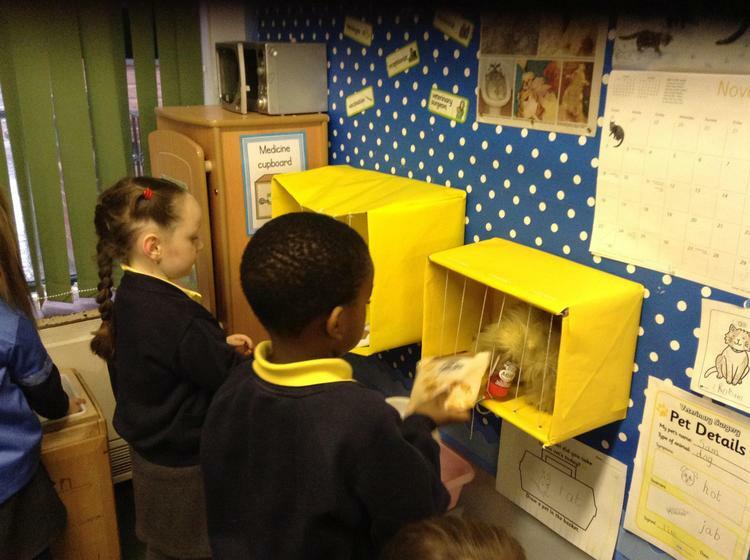 We discussed how it is important for us to care for animals that may visit or live in our school grounds; we made bird feeders to hang in our outdoor classroom so that the birds have a tasty treat when they come to visit us. 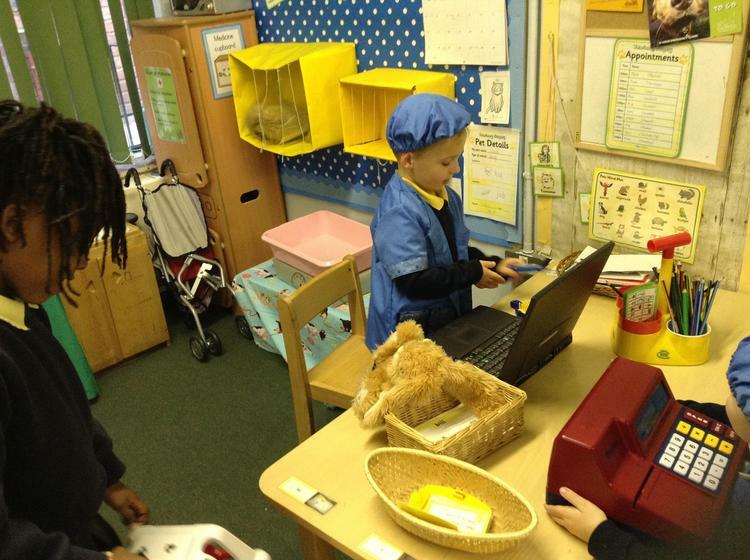 Well done reception on all your hard work for our nativity this year.